Posted on February 17, 2015 at 6:09 pm. Royal Vegas Casino is giving customers, as of this month, the chance to win a brand new sports car and a share in $250,000 cash and bonuses. To sign up, just head to the casino lobby in your desktop software or browser casino and find the ‘Choose Your Porsche’ promo page. Pick between the Porsche Boxster and the Porsche Macan as your preferred grand prize, and you’re ready to go. The Porsche Challenge is a multi-level competition where you must tick locations off the World Map in order to win special prizes and unlock new levels. 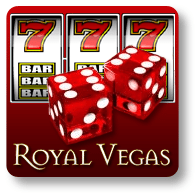 Each city challenge requires you to earn a specific number of Royal Vegas rewards points before you can progress, so you must play real cash casino games which are included in the RV loyalty program. There are 10 cities to navigate in total, and each completed challenge gets you a ticket for the Porsche Challenge draw. That means you can earn as many as 10 shots at winning either the Porsche Macan (valued at over $99,000) or the Porsche Boxster (valued at over $116,000). Even if you fall short in the grand prize draw, there is heaps more to be won along the way. Each city challenge comes with a unique prize for finishing the level, and there is over $250,000 in bonus cash and special rewards on offer throughout the event. Click here to get started. With the 2015 ICC Cricket World Cup in Australia and New Zealand on us, Royal Vegas Casino is offering 18 lucky punters the chance to win an all-expenses-paid trip to Melbourne for the quarterfinals on March 19. Sign in at RoyalVegasCasino.com between now and March 3 to enter the draw for one of 18 World Cup VIP packages. This very special promotion includes a private box at the hallowed MCG, one night in a four-star hotel, return airfares for two, and an introduction to the illustrious Royal Vegas VIP crew. To earn tickets for the lucky draw, you must score as many runs as you can between now and the end of the competition. Each run is made up of 1000 Royal Vegas loyalty points and gets you one ticket for the lucky draw on March 4. There is no limit on the amount of tickets you can earn – so the more rewards points you get, the better your chances of winning. There is also a guaranteed AUD $5000 cash prize for the top run-scorer over the course of the event. Remember, this awesome World Cup promotion ends on March 3, so get in ASAP to take maximum advantage and start putting runs on the scoreboard.